FRANKLIN, TN--(Marketwired - Jun 11, 2013) - For anyone in need of lodging in Franklin, Tennessee, TripAdvisor has one piece of advice: Book a room at Franklin Marriott Cool Springs. Located just 20 minutes away from Nashville and near an array of cultural attractions, this elegant hotel caters so completely to its guests that TripAdvisor recently bestowed on it a coveted Certificate of Excellence. "We are delighted to receive this Certificate of Excellence from TripAdvisor," said Director of Sales and Marketing Juanita Neely. "We strive to exceed our guests' expectations, and this acknowledgement of our efforts is at once gratifying and inspiring." TripAdvisor awards Certificates of Excellence only to the top-performing 10 percent of hospitality businesses worldwide. Recognized properties must maintain a rating of a four or higher (out of a possible five) by travelers, and they must be listed on TripAdvisor's website for at least 12 months. The volume of reviews a property receives is also taken into consideration. The Franklin Marriott Cool Springs mantra is to be the "Best Place to Stay and Best Place to Work." The hotel uses the "Performance Excellence" platform to drive organizational efficiency and associate engagement, where guest satisfaction is paramount to keeping and growing its loyal client base. Taking care of its associates so that they take care of the guests is the foundation of this hotel's service culture. The Franklin Marriott Cool Springs is a natural choice for such an honor. With 297 rooms, three suites and a new lobby, the hotel blends Southern charm with modern needs. Business travelers appreciate the 22 meeting rooms, which occupy a staggering 29,000 square feet of meeting space, and three concierge levels. Those visiting for pleasure, meanwhile, can discover Tennessee's varied attractions, from the CoolSprings Galleria mall to Carnton Plantation. As TripAdvisor noted, the Franklin Marriott Cool Springs has much to offer its guests, and its team looks forward to showing future visitors what all the buzz is about. Few hotels can match the Franklin Marriott Cool Springs in terms of business and pleasure. This is one property that excels in both areas. For business travelers, the hotel offers three concierge levels, complimentary wireless and wired internet in the lobby and public areas and 29,000 square feet of meeting space. Pleasure-seekers, meanwhile, can soak up the sights with Carnton Plantation, Vanderbilt University, Historic Downtown Franklin and the CoolSprings Galleria mall, all of which are close by. Everyone, however, can agree that the new lobby, 297 rooms and three suites all express an inimitable Southern charm. Rich colors, woodwork and finely appointed furniture evoke the glory of the South, while plush featherbeds and down comforters make it comfortable. Complimentary wireless and wired internet is available in the lobby and public areas as well. The property also offers three dining options: Lorraine's for American food, Coffee Etc. for Starbucks coffee and pastries, and Stirrup Cup Lounge for casual sandwiches. An indoor saltwater pool and whirlpool, fitness center and jogging trail all help guests stay fit and unwind during their stay. The Franklin Marriott Cool Springs mantra is to be the 'Best Place to Stay and Best Place to Work,' and hotel guests must agree. 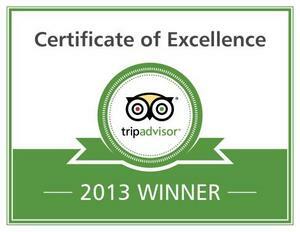 TripAdvisor awarded Franklin Marriott Cool Springs the Certificate of Excellence 2013. TripAdvisor awards Certificates of Excellence only to the top-performing 10 percent of hospitality businesses worldwide, and Franklin Marriott Cool Springs is honored to be recognized.